As an international travel destination Hong Kong has a wealth of hotels and accommodation options, however the campus of the Hong Kong University of Science and Technology is a little distant from the majority of tourist hotels downtown Kowloon and Hong Kong Island. Since campus accommodations in early December are very restricted, our recommendation to the majority of conference delegates are the two nearby hotels Crowne Plaza and Holiday Inn Express located in nearby Tseung Kwan O. This is a new (2012) 5-star hotel located near the campus. The hotel is about a 45 minute taxi drive from the Hong Kong International airport, (about HK$300 or US$35) or can be reached directly from the MTR subway system to the Tseung Kwan O MTR subway station. A view of a superior room in the Crowne Plaza is shown below. For further details visit the website. The Holiday Inn Express is located adjacent to the Crowne Plaza and operated by the same management. Once again it is a new hotel that opened in mid-2012. Though nominally 3* the HIE offers an excellent cheaper accommodation package, especially for two persons sharing twin room. Again it can be conveniently reached from the airport by taxi or using the MTR subway system to Tseung Kwan O station. The room rate including service charge is about US$135 for two persons or about 105Euros per night. 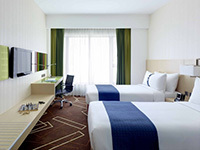 For further details about the Holiday Inn Express please visit the website. Confirmation is on a first-come-first-serve basis. Be sure to take advantage of the special rates & privileges negotiated by reserving a room no later than 2 November 2013 (room type is subject to availability). There is no charge to reserve a room. You may cancel or amend your reservation without penalty up to 48 hours prior to check-in. After the deadline, special offer will no longer be guaranteed. 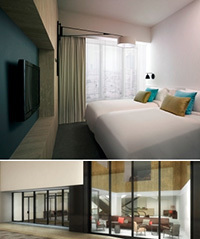 A new hotel Pentahotel Hong Kong, Kowloon is opening in August 2013 in Kowloon East near to Diamond Hill MTR station. For further details visit the website. 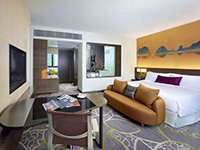 The Pentahotel is a 4* hotel located in the heart of Kowloon. The HKUST campus may be reached by bus directly from the nearby Diamond Hill bus station (about 20 mins). Room rates for King or Twin rooms are HK$800 per night plus 10% service charge (about US115 or 85 Euros per night). They will include free wi-fi access and breakfast up to 2 persons. To obtain the preferential room rate listed above rooms should be reserved before 15 November 2013. Depending on attendees and anticipated demand shuttle bus services may be provided to / from HKUST campus. More details will be given in November, after the number of delegates staying at each of the hotels is known. For more details about other accommodation options within Hong Kong, as well as activities and host of information about resaurants etc. please visit the Hong Kong Tourism Board website.